“While on vacation in March of 1982, Patricia and Barbara were awaiting a flight in Atlanta when they noticed a definite lack of feminine-looking luggage. The longtime friends wasted no time in correcting this situation. Within weeks, these dynamic women had created a company, named after Barbara's mother, capable of marketing and manufacturing their cleverly designed products. The demand for these unique handbags and luggage items has grown and so has Vera Bradley, which is now nationally and internationally recognized. I have purchased and carried multiple Vera Bradley bags in the past 10 or so years, and have loved them all. I feel confident that anyone who has ever carried one most likely feels the same way. They have the most gorgeous patterns and some of the cutest styles on the market! I always receive compliments on my purses, and they last for years. 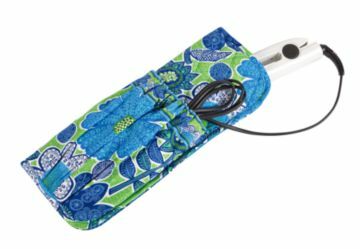 I was recently offered the chance to review 2 new items from the Vera Bradley Signature Collection, so needless to say, I was ecstatic to see what great new items they might send. When the package arrived, I opened it to find the Frame Bag and the Straighten Up & Curl Accessories case in the Doodle Daisy pattern. This surprisingly light, frame-style handbag has a classic, feminine shape with modern functionality. A magnetic closure, convenient end pockets and four interior pockets keep everything in place in this pretty package. I absolutely LOVE this bag. I have never had a purse that had a magnetic closure along the top, and let me tell you, I did not know what I was missing out on! You can easily pop it open to get what you need out of your bag without having to fumble with zippers or buttons. So convenient! And even better than that, you don’t have to remember to re-zip or button it back to close it! With other purses, you might forget to close them, and then wind up having to rearrange your whole purse after everything inside spills out in the floorboard of your car! Not once with this bag have I had this problem. It stays closed, no matter how tightly I have it packed, and it is absolutely gorgeous to boot. I just can’t say enough… Love, Love, Love! Even when your styling tools heat up, you can still take them to go. This sleeve accommodates most hairstyling tools and has a heat-resistant lining for use with hot irons. An elastic front slip pocket houses cords and keeps them tucked away. 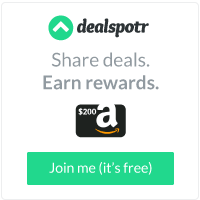 This came in very handy for me just the other day. I had a party to attend after work, so I had to take along my change of clothing and my makeup and styling tools so that I could freshen up from my day at work and get dolled up to spend an hour or two with friends. I used the Straighten Up & Curl case to carry my flat iron, and it worked like a charm. My flat iron wasn’t completely cooled down by the time I left work, but because the case has a heat-resistant lining, I was able to go ahead and pack up the warm iron with no worries at all. As I mentioned before, I have never owned a Vera Bradley product that I didn’t love, and I can happily say that I still feel the same after trying these two items. The Doodle Daisy pattern is perfect for Spring and Summer, and I have received numerous compliments on it in the short time that I have carried the bag. I would highly recommend any Vera Bradley product to anyone who likes unique and vibrant bags and accessories. 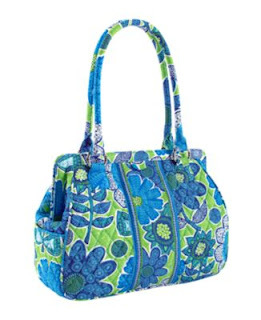 Vera Bradley products are durable, last for years and are sure to turn more than a few heads. Be sure to check out www.verabradley.com for the latest releases and sales! I love Vera Bradley bags! I really like the colors and print of this Frame Bag. Love all the patterns of Vera Bradely!! How great! I have always wanted something to put my hot irons in! I will have to look into one of these. Thanks! I love Vera Bradley bags!! I have a lot of them! Love the pattern and colors! And the straighten up and curl is a clever idea.